These are our first look at these toys so we fully expect to see more images trickle in over the coming days. What do you think of the reveals? 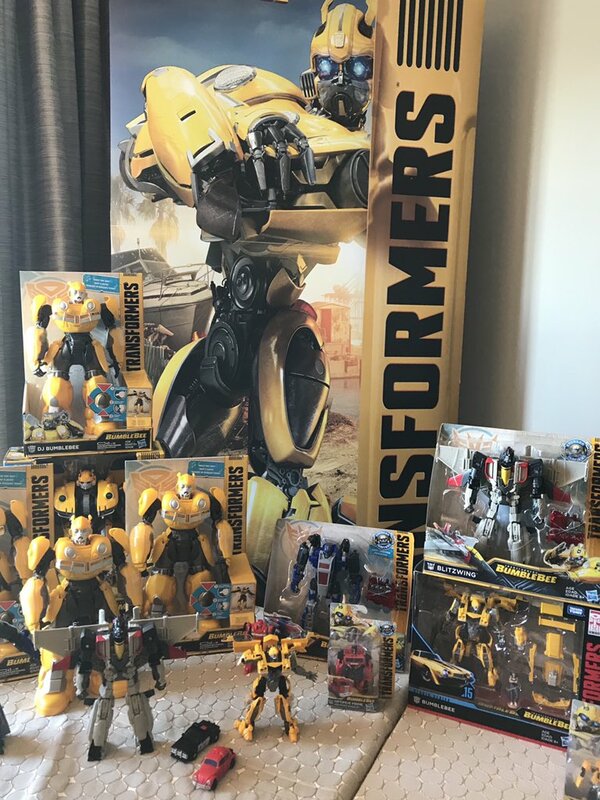 Since Bumblebee is not officially released until December 21st in most markets, please be advised of potential spoilers among the various Bumblebee threads. We’ll do our best to keep spoilers off the forums! I just discovered that someone is using my photos to sell the toy. Not cool. I'm afraid next time I'll have to slap a watermark on them. I really don't want to do that, but assholes like that don't give me much of a choice. So would a simple retooled head be enough? To me, it would be. I figured out how to do headswaps, and my life is much happier. I currently have Bee, Cliffy, and Bumper in red AND in yellow, and am about to snag an extra Bee specifically so I can paint the GDO Springer head yellow and swap out to make Hubcap. It's really that easy. That, and it keeps some of the 3P people in business. It would certainly help a good deal. It's bad enough he's a repaint, but he's a lazy repaint. A new head is enough sometimes. Assuming that English is a second language for that poster. Hoping so, actually. 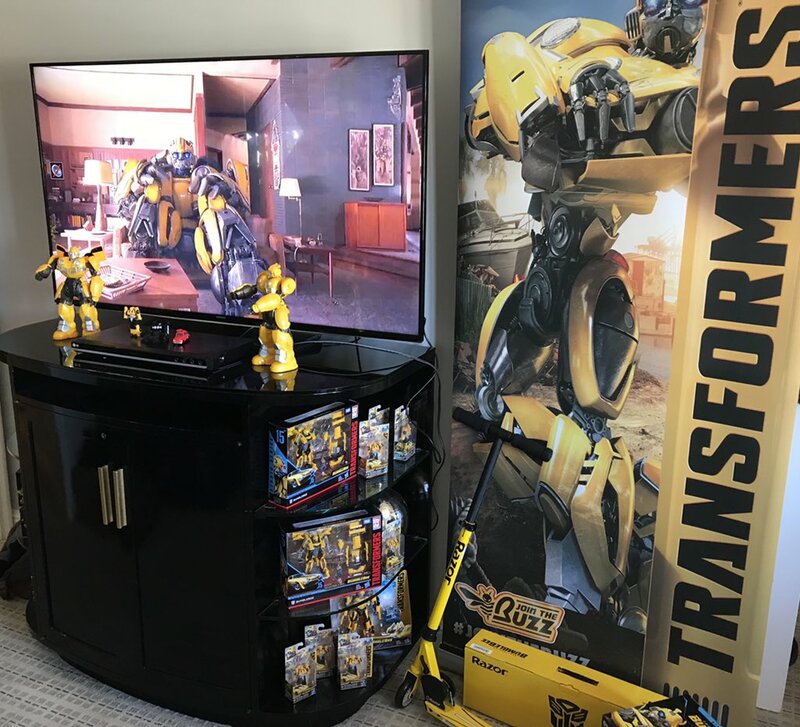 "If I were to say a green repaint of Bumblebee was coming out as Wasp, nobody would bat an eye because it's all 'part of the plan'. But if I say a red repaint of Bumblebee was coming out as Cliffjumper, and EVERYBODY LOSES THEIR MINDS!!!!" Because Wasp was a made up character for Animated that ended up taking off more than they had planned for. That said, for most people, he's a throwaway character. For almost everyone, Cliffjumper is a fully formed, independent character. 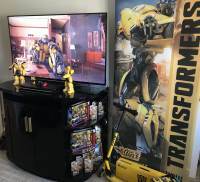 He was quite a character from the word go in More Than Meets The Eye, all the way back in '84 and he was an important character in Transformers Prime and he had a pivotal scene in Bumblebee. He deserves more than a Bumblebee repaint. He's been getting the shaft since 2006 in Classics and continues to do so. That's why people are losing their minds. And rightfully so. Can't a Wasp figure that's the same figure as the Bee but the only thing that was done for the figure was coloring it green. What? Either I'm just not getting it or this sentence is grammatically challenged. Can't wait for a Wasp figure that's the same figure as the Bee figure but the only thing that was done for the figure was coloring it green. What would you like to see as a Speed Series Legend? I'd buy pretty much any deco they give to the VW Bee mold(like blue [Glyph] or orange [Volks]). Ram is a power series figure. The 'power' part was mistakenly taken as part of the codename, but like the listings that accompanied it, 'power' just denotes the price point. Could be anyone, though. As witg Cliffjumper's codename, they don't always give much of a clue. still annoying that once again hasbro refuses to give cliffjumper a proper figure. he is still the missing 1984 transformer in classics/generations (they have attempted twice and both are just bumblebee repaints) and yet here we are again, another bumblebee repaint. Hey look, it's some random red VW Beetle robot! Where is Cliffjumper though? Thanks! So this confirms that Cliffjumper and "Wolf" are indeed one and the same figure. Now we still need to wait and find out who "Ram" is. Oh, and "Stingray" and "Infantry", too. 15 minutes of actually reading the thread would have saved you from that MASSIVELY uninformed comment. That Cliffjumper is lame. I'm not gonna talk about why for obvious reasons. Please clarify this for me if you can. Is he "Wolf" or is a new unknown toy? That is what I want to find out! Kind of bummed that characters who werent even in the movie like Hot Rod and Barricade get new toys with distinct heads while poor Cliffjumper, who actually features in the film, doesnt even get a new head mold. I get him not getting an entirely unique mold, but a new head would have been appreciated! I'm probably going to buy this guy. He may be a red Bumblebee,but he's still Cliffjumper,and that's what makes him worth it to me. Any redecos that Hasbro makes of this mold will likely be bought by me as well. I see what I can do. If I get it, I will let you know.